Ziad at Año Nuevo point at Sunrise . Ziad’s love of the water began in Lebanon even before moving to the US when he was five. Settling in Southern California, the family spent much of their free time pursuing outdoor recreation opportunities. His father often took him fishing or boating both on lakes and in the ocean. Already in love with outdoor recreation and surfing Ziad headed to UC Santa Cruz as an undergraduate. He was stunned by the beauty of the coast around the University and impressed with the strong ethic of land conservation and land protection he found on the Santa Cruz coast. While pursuing a double major in Environmental Studies and Economics, Ziad still found time to surf. A lot! Often at Año Nuevo. 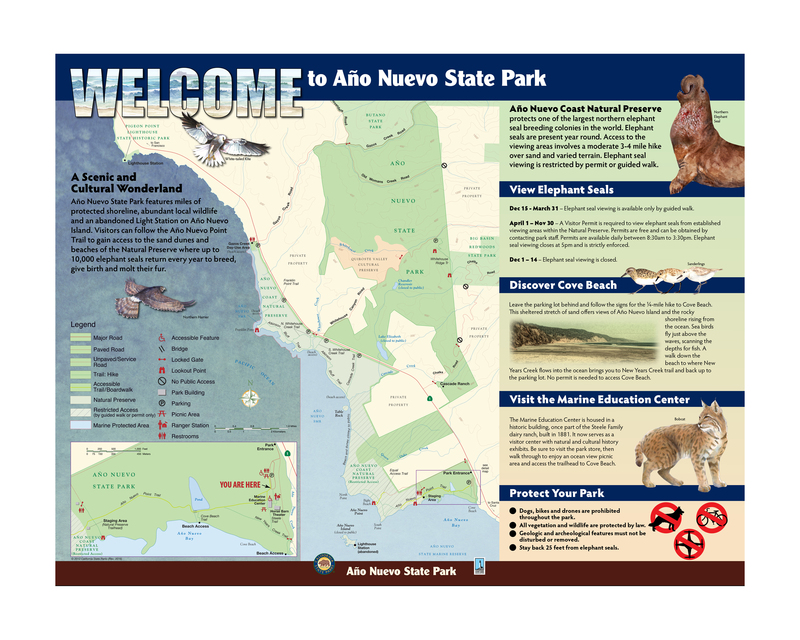 During his many visits to Año, he got to know the Rangers and in 1998 was hired as a Park Aide at Año Nuevo and Butano State Parks. Veteran rangers including Chuck Edgemon, Gary Strachan and Paul Keel were key mentors as his connection to State Parks deepened. He was accepted into the Ranger Academy in 2001 and upon finishing was very glad to find a position in Half Moon Bay. 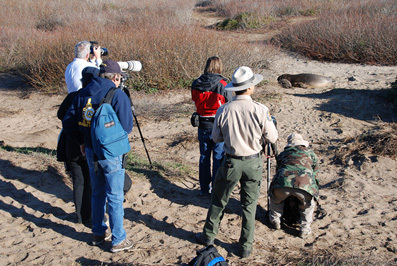 And in 2004 a position opened up at Año Nuevo and Ziad was able to come back "home". He's been at Año ever since and happily lives at Waddell Beach nearby. Following a series of drowning incidents along the north coast in 2004, the District sought to enhance its emergency response capacity and Ziad volunteered to complete full lifeguard training via an 8 day intensive program in Southern California - a step that is quite unusual for a Ranger. He continues to maintain this credential with annual recertification and we are all fortunate that he is on call to respond to any aquatic emergency along the Coast in either San Mateo or Santa Cruz County. Ziad and the interpretive team are passionate about improving signs at the parks. 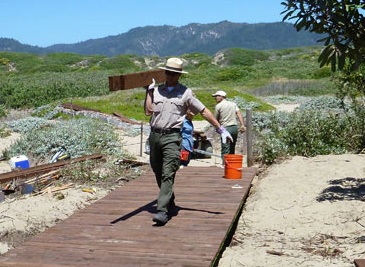 Ziad is responsible for managing major elements of Año Nuevo’s operations including staffing, training, scheduling and infrastructure for Año Nuevo Point, oversight of the aquatic safety equipment including zodiacs and a jet-ski, and management of the trails, signage, interpretive panels and park improvements throughout the park. He has been involved in everything from seizing a panga boat full of illegal marijuana from Mexico to shutting down a "chop shop" found disassembling stolen cars to sell their parts, all within Año Nuevo! He loves the many dimensions of his job and the ongoing challenge of making changes that will bring out the best in State Parks, to improve the health of the parks and the experience of the parks’ visitors. In his spare time he still loves the water and can often be found surfing. In his travels he has surfed many places around the world from Fiji to El Salvador, from Australia to Bali and beyond.